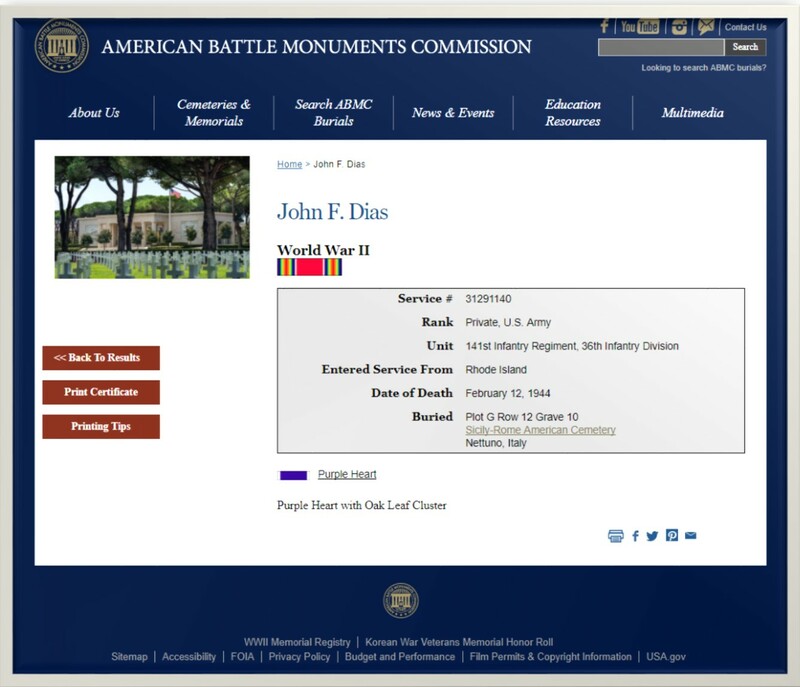 John Dias enlisted in the US Army as a Private on 4 Mar 1943. 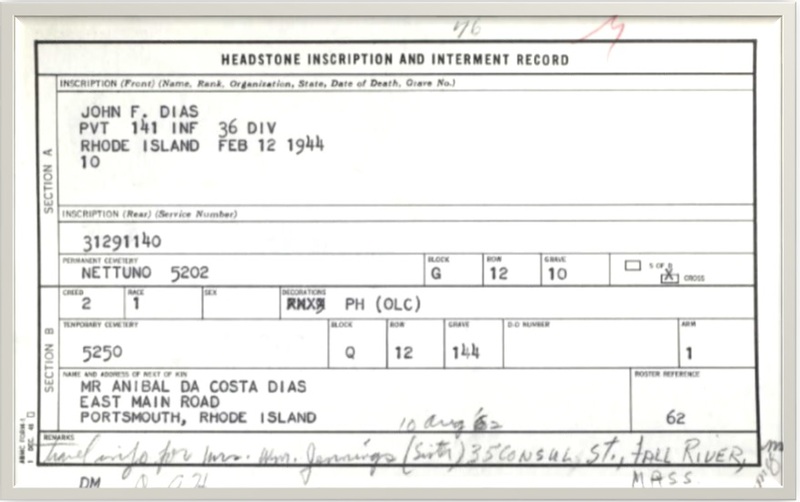 He was killed in Action’ per WWII Honor List of Dead and Missing State of RI War Dept June 1946, and is buried in Nettuno 5202, Block G, Row 12, Grave 10 in the Sicily-Rome American Cemetery. The World War II Sicily-Rome American Cemetery and Memorial site in Italy covers 77 acres, rising in a gentle slope from a broad pool with an island and cenotaph flanked by groups of Italian cypress trees. Beyond the pool is the immense field of headstones of 7,861 of American military war dead, arranged in gentle arcs on broad green lawns beneath rows of Roman pines. 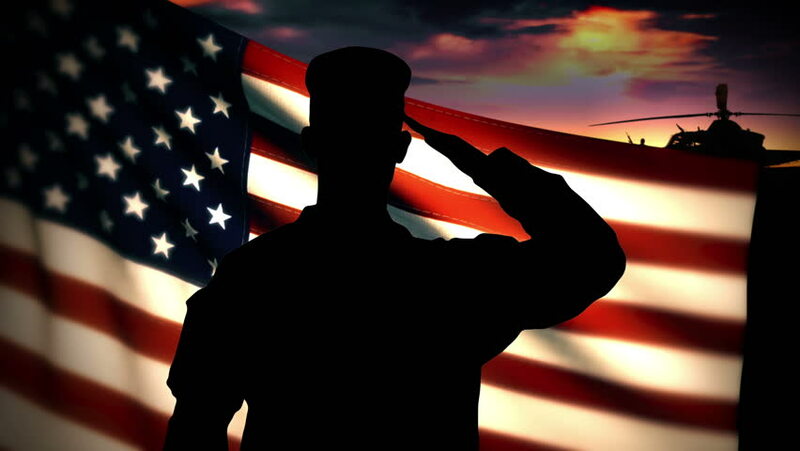 The majority of these individuals died in the liberation of Sicily (July 10 to August 17, 1943), in the landings in the Salerno Area (September 9, 1943) and the heavy fighting northward, in the landings at Anzio Beach and expansion of the beachhead (January 22, 1944 to May 1944), and in air and naval support in the regions.